How do I listen to my SIRIUS Radio in my vehicle? In order to listen to your SIRIUS Radio in your vehicle, you need to connect its audio to your vehicle's audio system. There are two primary ways to connect the audio of your SIRIUS Radio to your vehicle's audio system. There are multiple connection solutions within each primary method. Choosing the solution that is right for you largely depends on the capability of your vehicle's audio system. However, properly following the connection procedures of these solutions will help you obtain the best audio performance from your SIRIUS Radio, regardless which solution you choose. Click the links above to explore the different audio connection solutions. • PowerConnect™: The SiriusXM PowerConnect FM Transmitter is a patent pending, in-vehicle audio connection technology that delivers easy Do-It-Yourself Installation. The PowerConnect FM Transmitter works by directly connecting the signal from the SIRIUS Radio to the vehicle's FM radio through the vehicle's power adapter socket and power wiring. Show me PowerConnect. • FM Direct Adapter (FMDA): The FM Direct Adapter provides a direct wired connection from your SIRIUS Radio to your vehicle's FM radio. It essentially eliminates any outside static and interference due to broadcasts from other FM radio stations. Show me FM Direct Adapter. Note: Professional installation is recommended for this option. • FM Extender Antenna (FEA): The FM Extender Antenna is an in-vehicle audio connection technology that you can install yourself, although for best performance, we recommend professional installation. Not all SIRIUS Radios came with an FEA. The FEA must have been either included in the box of your SIRIUS Radio (or Vehicle Kit) or sent to you by SIRIUSXM customer care. The FEA brings the signal from the FM transmitter of your SIRIUS Radio in close proximity to the vehicle's FM antenna to provide a strong FM signal for improved reception by the vehicle's FM radio. Show me FM Extender Antenna. • Internal Antenna: There is a built-in antenna in some SIRIUS Radios or Vehicle Docks. You can choose to use this internal antenna in conjunction with the FM transmitter to wirelessly send the audio from your SIRIUS Radio to your vehicle's FM radio. Show me Internal Antenna. The following chart shows a relative comparison of audio quality of the different connection options. PowerConnect is a key feature of the new SIRIUS Stratus 6, as well as the newer PowerConnect version of SIRIUS Starmate 5, and SIRIUS Sportster 5 Dock & Play Radio packages, and delivers Do-It-Yourself Installation. It is designed to work with the PowerConnect Vehicle Dock and PowerConnect Power Adapter that are included in the product packages of these Dock & Play Radios. 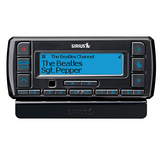 You can also purchase a SIRIUS Dock & Play PowerConnect Second Vehicle Kit (Model: SADV2) and use PowerConnect with the following SIRIUS radios that did not have the PowerConnect Vehicle Dock and PowerConnect Power Adapter in the radio package, in addition to the ones mentioned above: Stratus, Stratus 5, Starmate 3, Starmate 4, Starmate 5, and Sportster 5. 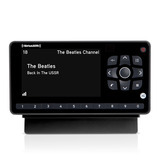 For more information, visit www.siriusxm.com/accessories. NOTE: PowerConnect is not compatible with older SIRIUS Vehicle Docks. Use the FM Extender Antenna or FM Direct Adapter as the FM Radio Connection solution instead, when using an older SIRIUS Vehicle Dock. Not sure which Vehicle Dock you have? It's easy to tell the difference between the PowerConnect Vehicle Dock and other Vehicle Docks. Just look for the color-coded connectors on the sides. They are only on PowerConnect Vehicle Docks. NOTE: The SIRIUS Vehicle Dock model UC8 looks the same as the SIRIUS PowerConnect Vehicle Dock, except for the color-coded connectors, and is not compatible with PowerConnect. Install the PowerConnect Vehicle Dock and PowerConnect Power Adapter according to the directions in your SIRIUS Radio's User Guide or Quick Start Guide, or in your SIRIUS Dock & Play PowerConnect Second Vehicle Kit's User Guide or Quick Start Guide. You can find SIRIUS Radio User Guides and Quick Start Guides here. A. Use the SiriusXM FM Channel Finder at www.siriusxm.com/fmchannel. Go to the website and enter your zip code. The Channel Finder will suggest a list of available FM channels in your area. For convenience, write down or print out the list. B. Manually tune through your local FM channels on your vehicle's FM radio. Locate and create a list of channels that aren't being used by any FM radio station. Write down the list. Once you have created your list of available FM channels, you will need to find the one that provides the best match for your SIRIUS Radio. You should hear the SIRIUS audio playing through your vehicle's FM radio. Once you have found an FM channel that is working for you, save it as a preset on your vehicle's FM radio. This will become your SIRIUS preset. If the selected FM channel doesn't work well for you, work down the list of FM channels until you find one that allows you to hear SIRIUS clearly. Each time, you will need to tune your vehicle's FM radio to the new FM channel and then set your SIRIUS Radio to transmit on the same FM channel. Note: You may find an FM channel with static or silence that does not work with the SIRIUS Radio. It is possible that some type of inaudible interference is present that prevents reception of the SIRIUS audio. Your only options are to use another FM channel or a different audio connection solution. The FM Direct Adapter (FMDA) is an accessory that directly connects the FM signal from your SIRIUS Radio to your vehicle's FM radio, virtually eliminating outside static and interference which might be present from FM radio station broadcasts. When the SIRIUS Radio and the vehicle's FM radio are turned on, and tuned to the same FM channel, the vehicle's FM antenna automatically becomes inactive, and you'll hear the SIRIUS audio through the FM radio. When the SIRIUS Radio is turned off, the vehicle's FM antenna automatically becomes active, and you can listen to regular AM/FM broadcasts on the AM/FM radio. SiriusXM recommends having the FMDA professionally installed in your vehicle. Installation requires specialized tools and expertise. Ask your SiriusXM retailer if they provide professional installation services, or can recommend a professional installation service. You can purchase an FMDA from the professional installer as part of the installation service, from your SiriusXM retailer, or directly from SiriusXM at www.siriusxm.com/accessories, where prepaid installation cards with or without the FMDA are also available for use at a nationwide network of installers. 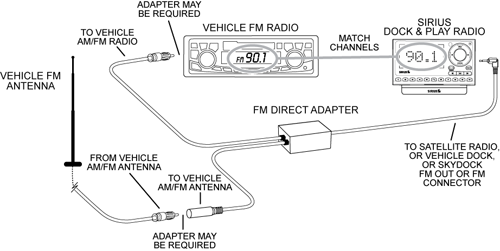 Also, certain vehicle models may require additional adapters to connect the FMDA to the vehicle's FM radio and antenna. Your SiriusXM retailer may sell these adapters, or a professional installer may be able to provide them. NOTE:The model number of the FM Direct Adapter is: FMDA25. You'll need to purchase an FMDA from your professional installer, from a SiriusXM retailer, or directly from SiriusXM at www.siriusxm.com/accessories. Have the FMDA installed in your vehicle. STEP 2: MATCH THE FM CHANNEL OF YOUR SIRIUS RADIO WITH YOUR VEHICLE'S FM RADIO The installer should match the FM channel of your SIRIUS Radio with your vehicle's FM radio as part of the installation. However, the process is also described below for future reference. TIP!. You'll need to use the 'Manual' tune function on your vehicle's FM radio to tune through every FM channel one-by-one. Turn on your vehicle's FM radio. Start at 88.1 and use the 'Manual' tune function on your vehicle's FM radio to tune through each FM channel one-by-one (88.1 followed by 88.3 etc.) to locate channels that aren't being used by a local FM radio station. Write down each FM channel that has only static or silence on it, until you reach 107.9, which is the highest FM channel on the vehicle FM radio. FM Extender Antenna (FEA) The FM Extender Antenna (FEA) brings the FM signal from the SIRIUS Radio in close proximity to the vehicle's FM antenna. When the SIRIUS Radio and the vehicle's FM radio are tuned to the same FM channel, you'll hear the SIRIUS audio. You can install the FEA yourself; it does not require specialized tools. However, it does require that you know or can find out about the type of FM antenna you have in your vehicle. Alternately, professional installation is an option if you feel more comfortable having a professional install it for you. Ask your SiriusXM retailer if they provide professional installation services, or can recommend a professional installation service. Prepaid installation cards are also available for use at a nationwide network of installers. 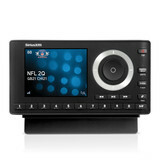 You can purchase prepaid installation cards at www.siriusxm.com/accessories. NOTE:Not all SIRIUS Radios came with an FEA. The FEA must have been either included in the box of your SIRIUS Radio (or Vehicle Kit) or sent to you by SIRIUS XM customer care. The FEA is compatible with, but is not included in the SIRIUS Radio packages or Vehicle Kits sold with the PowerConnect Vehicle Dock. 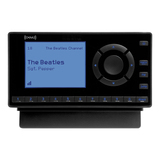 If your Radio has the PowerConnect Vehicle Dock, SiriusXM recommends the PowerConnect FM Radio Connection solution instead of the FEA. STEP 1: HAVE THE FM DIRECT ADAPTER INSTALLED IN YOUR VEHICLE STEP 2: MATCH THE FM CHANNEL OF YOUR SIRIUS RADIO WITH YOUR VEHICLE'S FM RADIO The installer should match the FM channel of your SIRIUS Radio with your vehicle's FM radio as part of the installation. However, the process is also described below for future reference. Note:You may find an FM channel with static or silence that does not work with the SIRIUS Radio. It is possible that some type of inaudible interference is present that prevents reception of the SIRIUS audio. Your only options are to use another FM channel or a different audio connection solution. Internal Antenna You can choose to use the built-in internal antenna in some SIRIUS Radios or Vehicle Docks in conjunction with the FM transmitter to wirelessly send the audio from your SIRIUS Radio to your vehicle's FM radio. NOTE: The Internal Antenna option is not available with the SIRIUS PowerConnect Vehicle Dock. • Aux In Cable. If your vehicle's stereo system has an auxiliary input connection, you can connect the audio using an Aux In Cable. Show me the Aux In Cable. NOTE:If you are not sure whether your vehicle's stereo system has an Aux In jack, or are unsure of the location of it, consult your vehicle's owner's manual or the vehicle dealer. If it is located at the rear of the system, you may need a professional installer to install the cable for you since installation may require specialized tools and expertise. However, this location is not very common. With newer SIRIUS Radio models, such as the SIRIUS Stratus 6 Dock & Play Radio, or the newer packages of SIRIUS Starmate 5, and SIRIUS Sportster 5 Dock & Play Radios, an Aux In Cable is included in the product package. If you don't have an Aux In Cable, you can purchase one from your favorite SiriusXM retailer or directly from SiriusXM at www.siriusxm.com/accessories. The cable needs to have a 3.5 mm (1/8 inch) male stereo plug on each end. Note: Very rarely, the auxiliary input connection in some vehicle models may require an audio cable with RCA left and right connectors to connect to it. In this case, the cable needs to have a 3.5 mm male stereo plug on one end (to connect to SIRIUS Vehicle Dock), and RCA left and right audio plugs on the other end. Plug one end of the cable into the AUDIO or AUDIO OUT or LINE OUT connector on the Vehicle Dock. On the PowerConnect Vehicle Dock, the color of this connector is green. Plug the other end of the cable into the AUX or AUX IN, or LINE IN jack of your vehicle's stereo system. Turn on your SIRIUS Radio and insure that the FM transmitter is OFF. If not, turn the FM transmitter OFF. Refer to your SIRIUS Radio User Guide for instructions. You can find SIRIUS Radio User Guides here. Turn on your vehicle's stereo system and set it to play from the auxiliary input source. You should hear the SIRIUS audio playing through your vehicle's speakers. You'll need to purchase a Cassette Adapter. Plug the end of the Cassette Adapter that has the 3.5 mm male stereo plug into the AUDIO or AUDIO OUT or LINE OUT connector on the SIRIUS Vehicle Dock. On the PowerConnect Vehicle Dock, the color of this connector is green. Insert the Cassette Adapter into the vehicle's cassette deck. You may need to turn on your vehicle's stereo system in order to do so. Also, some systems may automatically switch to play from the cassette player input once you insert the Cassette Adapter. Turn on your XM Radio and insure that the FM transmitter is OFF. If not, turn the FM transmitter OFF. Refer to the XM Radio User Guide for instructions. You can find XM Radio User Guides here. If you haven't already done so, turn on your vehicle's stereo system. Some systems may automatically switch to play from the cassette player input when the vehicle's stereo system is turned on and a Cassette Adapter is inserted into the cassette deck. If not, set the vehicle's stereo system to play audio from the cassette source. You should hear the SIRIUS audio playing through your vehicle's speakers.